The book of Exodus is a fascinating historical account of how God establishes His people as a nation. Valerius Herberger also shows how it can also be read devotionally, with Jesus at the center of all of Scripture. 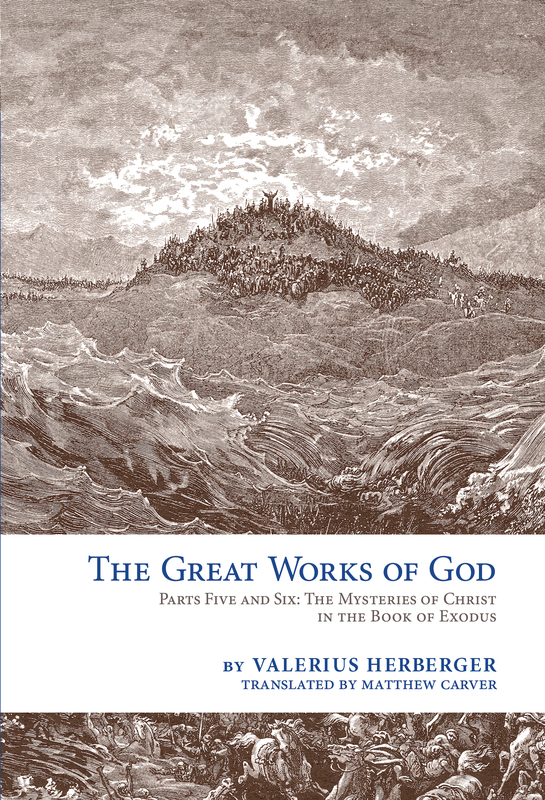 In The Great Works of God: The Mysteries of Christ in the Book of Exodus, this 17th-century Lutheran pastor teaches the faith with a certain timelessness, using a sacramental lens to reveal Christ in the Old Testament. Herberger draws the reader deeper into the text, providing an abundance of wisdom, comfort, and insight for the Church of today. “We know that there is no great undertaking in the Old Testament in which our Lord Jesus is not involved. Therefore He was also at work here, protecting His servant Moses on the water just as He preserved His disciples (Matt. 14:26). Yea, every notable history in the Old Testament earnestly anticipates the great history of Jesus Christ in the New Testament. Thus, our blessed forefathers also compared this wondrous history of Moses with the account of Jesus Christ’s childhood, explaining one by way of the other.